Patchouli oil is derived from a large evergreen perennial that is a member of the Labiatae family, and a close relative of mint, lavender, and sage. The name ’patchouli’ (Pogostemon cablin or Pogostemon patchouli) is said to come from the ancient Tamil words ‘patchai’ and ‘ellai’, meaning green leaf. Some say it comes from the Hindustan word ‘patchoi’, meaning to scent, referring to its use as a fragrance. Patchouli originates from Southeast Asia. Today, it’s cultivated in China, Malaysia, India, Indonesia, and the Philippines, but also grows in South America and other tropical regions like Hawaii. Patchouli oil is extracted from the lightly fragrant leaves and the white, violet-marked flowers of the plant. It yields a thick, light yellow or brown liquid, with a strong, musk, earthy and slightly sweet aroma, reminiscent of wet soil. For some, the potent fragrance of this oil is an acquired taste. What sets patchouli oil apart from other herbal oils is that it gets better with age. It’s light yellow color turns a deep amber, and the scent becomes smoother and richer. Stress – Well known for its calming properties, Patchouli may help reduce symptoms of irritability, anger, anxiety, restlessness, insomnia and depression. Brings a feeling of calm and peace. You may dilute with water and spray on your pillowcases and sheets. 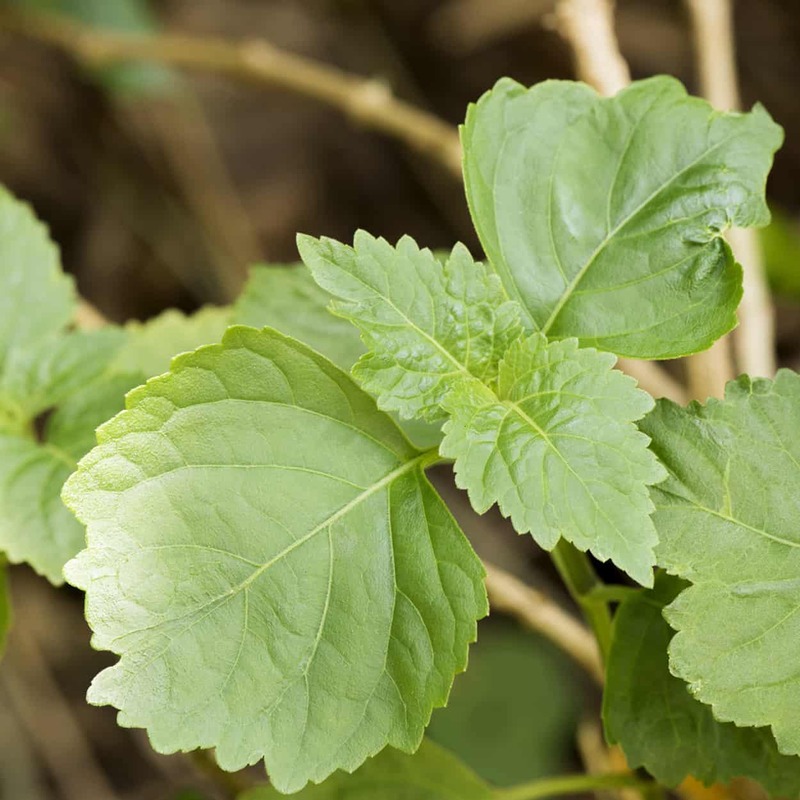 Anti-Inflammatory – Beloved for its anti-bacterial and anti-fungal properties, Patchouli is often used to promote cell regeneration, and reduce inflammation throughout the body. 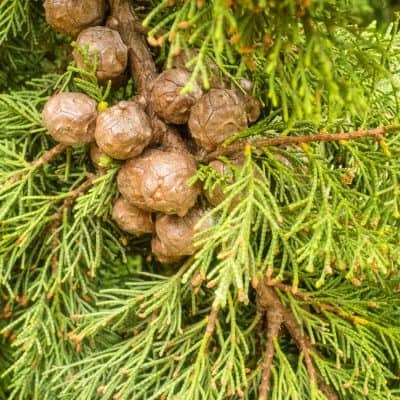 It is a favorite in treating vaginal infections, oral thrush, herpes, and different fungal infections. Insects – May be used as an alternative to chemicals in warding off ants. Aphrodisiac – Patchouli contains mild aphrodisiac properties. Deodorant – Smell sweet and fresh after using Patchouli as a deodorant! Patchouli oil is extracted from the lightly fragrant leaves and the white, violet-marked flowers of the plant. Patchouli Essential Oil blends well with essential oils of Bergamot, Clary Sage, Geranium, Lavender and Myrrh. Patchouli has a warm, earthy aroma with fresh fruit. Patchouli Oil is favored for: •	Stress - Well known for its calming properties, this oil may help reduce symptoms of irritability, anger, anxiety, restlessness, insomnia and depression. Brings a feeling of calm and peace. You may also dilute with water and spray on your pillow cases and sheets. •	Skin - This essential oil is considered to have cicatrisant properties and may reduce the appearance of scars and other marks on the skin. •	Antiseptic - Known for its antiseptic properties, this oil may help to protect wounds from bacterial infection. •	Aphrodisiac - This oil contains mild aphrodisiac properties. •	Deodorant - Dilute with a carrier oil like coconut (which is an anti-bacterial and anti-viral), almond or avocado to help reduce or mask body odor. •	Fever - May help to reduce fever. •	Fungi - May help to reduce the symptoms of athletes foot and other fungal infection. May be applied to the inside of shoes. •	Insects - Since ancient times, this oil has been used to keep pesky insects at bay. 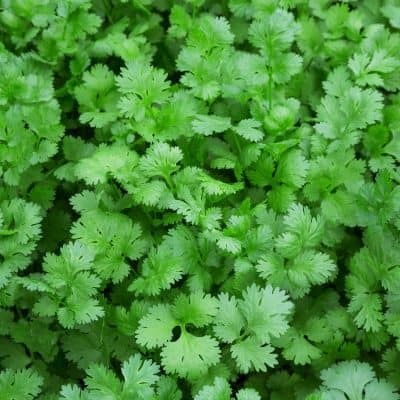 It is often used in sprays, body lotions, vaporizers, and may be sprayed on pillows and sheets. •	Expectorant - May help reduce the symptoms of cough, colds, congestion and bronchitis. Use in a diffuser, vaporizer or warm bath. •	Skin - This essential oil is considered to have cicatrisant properties and may reduce the appearance of scars and other marks on the skin. May be helpful in reducing the symptoms of eczema and other skin problems. Patchouli oil may have calming properties and is said to help relieve anxiety, stress, and tension. It's calming effect is very effective for relaxation and meditation. Simply add a few drops in a diffuser, vaporizer or inhale from a cloth. •	Mix into face cream, lotion, or shampoo, or even add it to your bathwater. 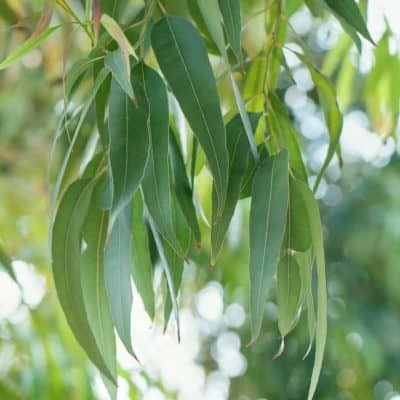 •	This oil may have antiseptic properties. Dab a small amount on your skin to soothe cuts, scrapes, burns, and sores, as well as insect bites. •	This oil may have insect repellant properties. Apply a few drops on your wrists or lightly spray on your sheets and pillow to keep ants and other pests away. •	Put two to three drops on a cotton ball and dab it on your underarms to help prevent body odor. •	Mix a couple of drops into your shampoo or conditioner to help alleviate the symptoms of dandruff and oily hair. Leave it on for a few minutes before rinsing.